The line-up of V1 recording the three tracks “V1”, “Schoolgirl” and “The Runner” at Spaceward studios consisted of Dennis Wilcock (vocals), Terry Wapram (guitar), Elliot White (guitar), Charle Borge (bass) and Alan Black (drums). Whereas Dennis Wilcock had left Iron Maiden to form his own band V1, his future colleague, guitarist Tony Miles, was active in a band called Tush. “I worked together with a certain Phil Collen in Tush in 1977/78,” explains Tony. “Phil was initially approached by Iron Maiden to join before Adrian Smith eventually did but turned it down because his band Girl were doing well at the time. When Girl finally split, Phil was very upset that he’d missed a great opportunity with Iron Maiden but then Def Leppard happened for him and the rest is history. After Tush split, I concentrated on starting a new hard rock band, namely Gibraltar, that would be an alternative to punk and would hopefully satisfy the renewed interest in heavy rock. Between 1976 and 1978 Tush played the same London gig circuit as Remus Down Boulevard, Urchin, Iron Maiden etc., everyone used to know everyone else, it was a small world. For example, Micky Tickton was particularly close to Dave Edwards and Dennis Stratton from Remus Down Boulevard. Tush used to watch these bands when we weren’t playing and they watched us when they weren’t playing. It was a close scene. V1 was obviously built from that scene, as eventually was Gibraltar.” In early 1979 Dennis Wilcock was looking to join a new band . And this is how be became the singer of Gibraltar: “Tony Miles had put an ad in the paper looking for a vocalist. I applied and got the job. That was two or three months after V1 had split. I met Tony and we got on like a house on fire. I joined and we did the whole thing again. I was responsible for promotion. I said while we are playing, why don’t we put some tracks down? So that’s why we used Spaceward again. Off we went and recorded the three tracks ‘You Drive Me Crazy’, ‘Mrs Marshall’ and ‘Sixteen And Loose’ down there. 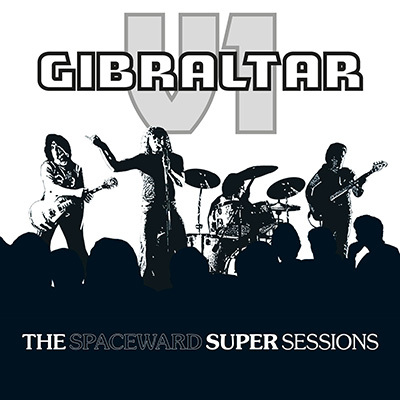 The drummer Jim Lassen did take over the production this time.” The line-up of Gibraltar that recorded the demo was Dennis Willcock (vocals), Tony Miles (guitar), Micky Tickton (bass) and Jim Lassen (drums). Other line-ups of Gibraltar included Tony Parsons and Ron ‘Rebel’ Matthews. Bob Sawyer auditioned as a guitarist sometime in 1979 but did not join the band. Parsons, Matthews and Sawyer had all earlier been in Iron Maiden!